parktool(パークツール)'s poly-urea lubricant was developed specifically for自転車 maintenance and repair. PolyLube 1000 has an extremely high shear strength to protect vital parts under extreme conditions. 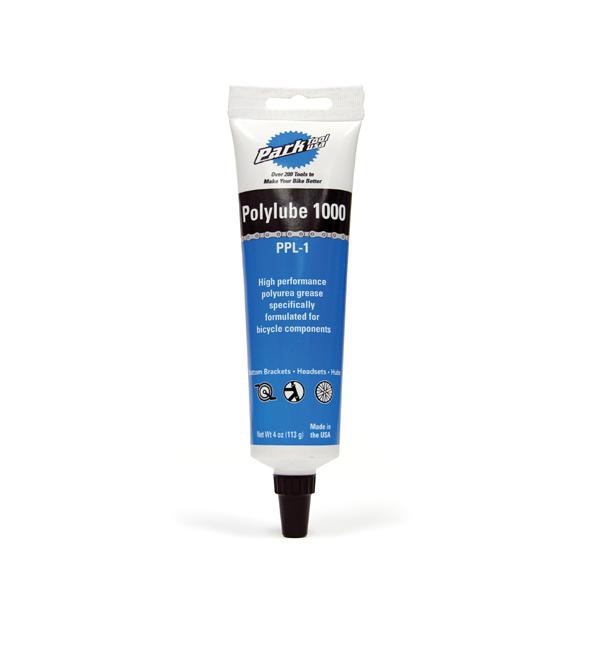 PolyLube 1000 also repels moisture and is compatible with conventional greases. Available in a handy 4oz. チューブ (PPL-1) and a 16oz. tub (PPL-2).